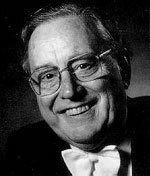 Sir Charles Mackerras was born in the United States of Australian parents in 1925. He studied in Sydney and Prague and made his debut in opera at Sadler's Wells. From 1966 to 1969 he was First Conductor with the Hamburg State Opera, and from 1970 to 1977 Musical Director of Sadler's Wells in London (which later became English National Opera). A specialist in the Czech repertoire, Sir Charles recorded a cycle of Janácek's operas with the Vienna Philharmonic. 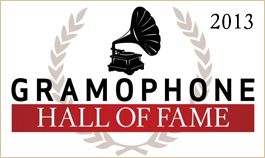 These Decca (London) recordings have won numerous awards throughout the world. He conducted the first professional performance in Britain of the original version of Janácek's Glagolitic Mass with the Royal Philharmonic Orchestra. Sir Charles undertook a great deal of research into performance practice of the eighteenth and nineteenth centuries and has recorded all the symphonies and serenades of Mozart with the Prague Chamber Orchestra for Telarc. As Principal Guest Conductor of the Scottish Chamber Orchestra, he recorded The Magic Flute, Così fan Tutte, Don Giovanni and Le Nozze di Figaro with an international cast for Telarc, and undertook a series of recordings for Hyperion. From 1987 to 1992 Sir Charles was Musical Director of Welsh National Opera and returned in 1993 for Tristan and Isolde, bringing the production to The Royal Opera House, Covent Garden. From 1982 to 1985, he was Chief Conductor of the Sydney Symphony Orchestra. Sir Charles's series of recordings of British music for Decca/Argo culminated in a lavishly praised recording of Britten's Gloriana which was awarded the Gramophone 'Best Opera Recording for 1994'. His recordings with the Royal Liverpool Philharmonic for EMI Eminence of Beethoven Symphonies and Mahler's First and Fifth Symphonies are regarded as outstanding interpretations. In 1974 Sir Charles received a CBE and was knighted in 1979 for his services to music. In 1969 he was made an Hon RAM, and in 1987 he was made a Fellow of the Royal College of Music. He has received Honorary Doctorates from York, Hull and Nottingham Universities; Masaryk University in Brno (Czech Republic) and Griffith University, Brisbane.